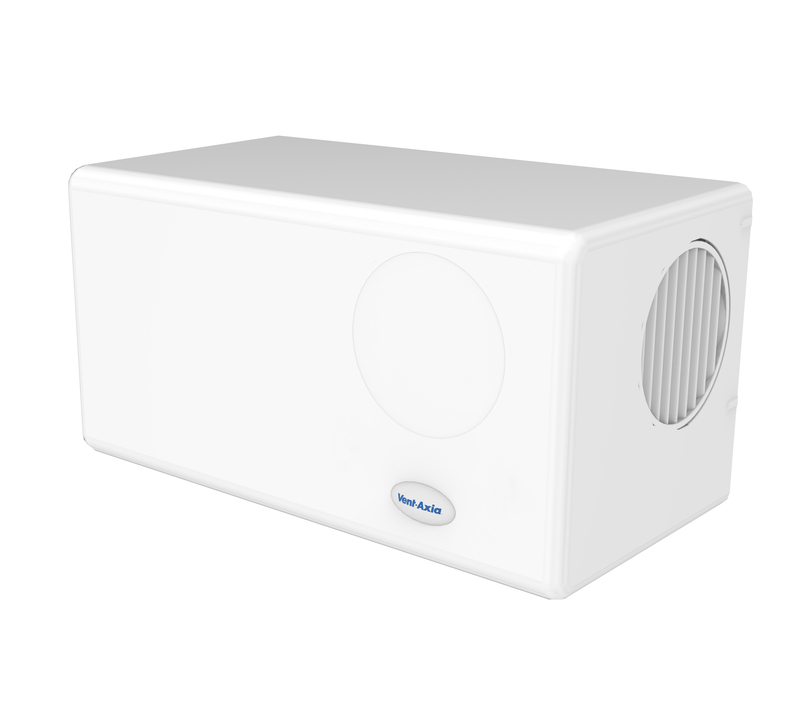 The innovative new Lo-Carbon PoziDry Compact Pro is the ideal solution for combating condensation and mould in problem properties without a loft. The unique PoziDry Pro Compact has been designed to be the smallest on the market, making it easy to install even in the tiniest apartments. Half the size of conventional boxed PIV units the PoziDry Pro Compact is still powerful enough to effectively tackle condensation and mould. With the unit’s cross section measuring only 200mm by 200mm the PoziDry Compact Pro is so small that it can fit inside the decorative boxing that is used to cover its ducting. For those properties that do not have a loft, the Lo-Carbon PoziDry Compact Pro provides an easy to install solution. The unit has been designed to be as small as possible with multiple inlet and outlet positions allowing it to be installed in the best place every time. Air is drawn into the Lo-Carbon PoziDry Compact Pro unit via an external inlet and through a short length of duct. The specially developed power pack cartridge assembly draws the air through an integral, high capacity, washable filter. The precision engineered scroll/impeller assembly and anti-vibration EPP body guarantees ultra low sound levels and increased energy efficiency. The fresh, filtered airflow passes along the ducting and enters the room through a discreet grille. The rotatable integrated grille can be turned to one of 8 positions ensuring that the airflow is always directed upwards, reducing cold draughts. If the ambient temperature exceeds 27°C, the Lo-Carbon PoziDry Compact Pro will automatically switch off to prevent over-heating. This temperature threshold can be adjusted at installation. In the case of the integral 300W heater version, the heater element is automatically activated when necessary and tempers the supply air to a chosen temperature. SmartSenseTM technology records usage, energy consumption and filter life to ensure the unit has been used as intended. This is secured by an installer enabled 3 digit settings lock to make the PoziDry Compact Pro tamper free.